Google Glass prototype photo by Ars Electronica on Flickr and used here with Creative Commons license. News gathering is a difficult job and if you’re a working journalist, you already understand the difficulties involved in getting a scoop, particularly if said scoop is controversial, classified, dangerous or in the middle of a desert. With these types of stories, it’s crucial to embed yourself. But, if you’re a broadcast journalist, you often have to attempt that lugging huge equipment or a full production team. Not exactly stealth. "With the quality of video and live streaming increasing on practically a daily basis, Glass –- and other wearable devices -– will turn satellite trucks and bulky equipment into museum pieces." Which is why people like myself are beginning to use Google Glass — the first hands-free, cloud-based wearable technology — to experiment in the media and broadcast journalism landscape. 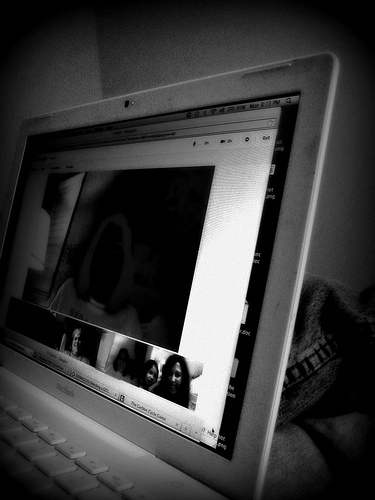 Google+ Hangout. Photo by Denise Krebs on Flickr and used here with Creative Commons license. Take for instance the story of Montreal-based television director Jean-Francois Desmarais, who captured the student tuition riots there by running around the protests with his laptop equipped with a mobile Wi-Fi device so that he could stream the riots live on Google+ Hangouts. Kudos to him for his amazing and innovative work, but Glass would have made his endeavor that much more efficient as it would be hands-free, allowing Desmarais to walk through the demonstrators without carrying bulky equipment. With the quality of video and live streaming increasing on practically a daily basis, Glass –- and other wearable devices -– will turn satellite trucks and bulky equipment into museum pieces. During breaking news, a professional journalist or citizen reporter can simply open a hands-free Hangout and show others what they’re seeing in real time. While broadcasting, a user could also simultaneously have a face-to-face group conversation with other stakeholders in that live event. Think group live shots. New technology, however, also means new rules when it comes to etiquette and privacy for journalists using Glass. Recently, I watched Robert Scoble of RackSpace conduct an interview with photographer Trey Ratcliff in a crowd of people in San Francisco. Because there was not a mic flag, tripod or other equipment to denote, Scoble had to change his stance and tactics while shooting via Glass so that people around him wouldn’t disrupt the interview. Scoble spread his arms out wide in an attempt to let others know not to approach his interview subject during the recording. To the outside observer had it not been for Scoble’s outstretched arms, it might have appeared as the two were simply having a conversation. Hands-free reporting and news gathering will require an entirely new playbook, and Scoble’s outstretched arms are just one example. Just as journalists had to rewrite the rules for recording when it came to cell phone cameras, Glass will be no different. Glass is a nexus of real and digital experiences. Journalists have the opportunity to pioneer in this space to figure out how those two worlds can cohesively, and respectfully, intersect to bring news consumers a unique first-person perspective of their world. To make it easy for journalists and citizen reporters, Glass also allows the wearer to capture video and photos and instantly share to their social networks — further combining the digital and physical world, as well as the speed at which news reaches the public. Glass also has an app called “Full Screen Beam” that allows the wearer to manually upload videos from Glass to YouTube. However, if you don’t want to manually upload your videos to YouTube, enable the “instant upload” feature on Google+ and after you shoot a Glass video or photo, it automatically shows up in your private gallery on Google+ for re-sharing whenever it’s convenient for you. What is currently holding Glass back for journalists is the microphone. Currently, the mic on Glass works great for ambient sound. However, audio for interviews on Glass is not yet broadcast quality. While the person wearing Glass is able to be heard, the person being interviewed would still need an external mic. In other words, it appears the Glass microphone is not omnidirectional. While I routinely wear my Google Glass during our live broadcasts to curate comments without having to have my head buried in a laptop, time will tell whether the public will accept a traditional news anchor wearing one of these devices on their face. Testers have found Glass to be quite comfortable, but that doesn’t always mean it’s pleasing to the eye. 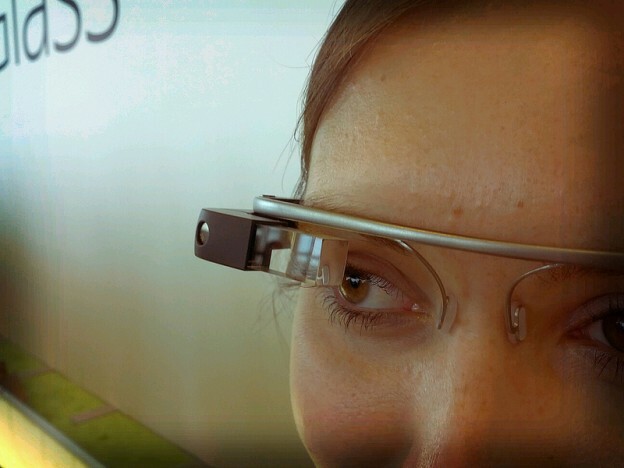 So, could Google Glass really transform news gathering? Yes. It already is at the Veterans United Network. Just check out the Veterans United Hangouts Hub for an example. When Hangouts on Air are supported for Glass, this will create a free, hands-free broadcast tower. No big metal stick in the ground or call letters required. TV stations could be coming to a face near you. Sarah Hill is a 12-time Emmy award winning reporter, social media pioneer and former news anchor for KOMU-TV 8 , the broadcast lab for the University of Missouri School of Journalism – the oldest formal journalism school in the world. Currently, Sarah is a Hangout Host for the Veterans United Network – a news hub sponsored by Veterans United Home Loans. Connect with Sarah on Google+ or Twitter. so true – how are your privacy settings working for ya? I have not seen any evidence that this is happening.